This means nothing to those who don't follow Korean or Japanese theatre and dance, but a great man died today. Designer Aikawa Masaki was a genius at lighting the stage. He was able to bring something incredible to each performance he worked on, enabling the Director's transformation of the theatre, bringing each audience member further into the world he helped create. 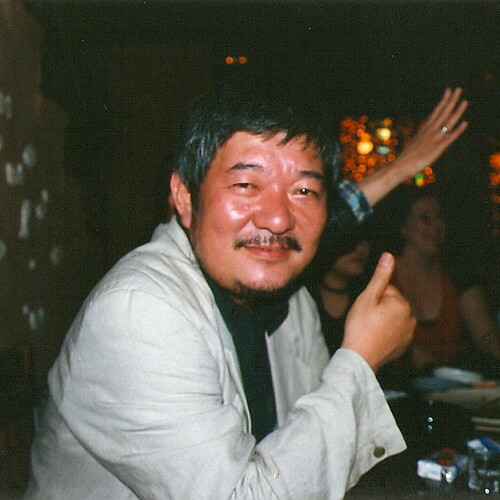 I had the privilege to meet him for the first time just over ten years ago and worked on a number of productions with him for YiGina Theatre and Mokwha Repertory Company. He was a jovial fellow, always happy and calm, even under intense pressure. I've seen him work with both Korean and British crews and despite not speaking either language well, he was able to communicate his wishes whenever he needed to. He was charming, kind and deeply loved by all who knew him. The world has lost a brilliant designer today. May he rest in peace.